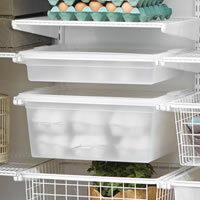 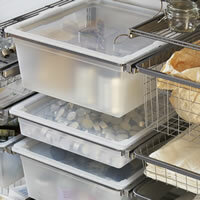 Our Elfa Classic gliding mesh drawer frame comes as one unit complete with an integrated mesh elfa basket. 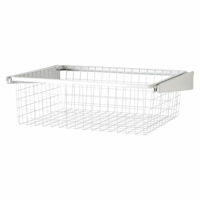 Elfa's smart mesh baskets offer a neat alternative to wire drawers, especially for smaller items that could fall through the ventilation holes in elfa wire drawers. 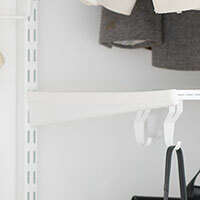 The mesh drawers also allow for a bit more discretion, shielding content where folded clothes etc are not as neat and tidy as you'd like! 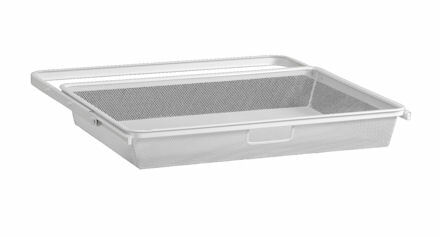 At 60cm wide, the mesh unit fits neatly between standard spaced elfa wall bars below a 60cm wide elfa shelf etc. 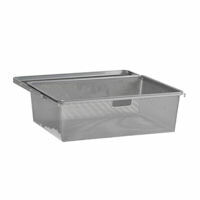 All you'll need to add are standard 40cm deep elfa brackets to complete. 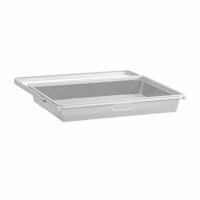 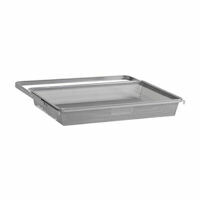 Use our shallow (8.5cm deep) classic gliding elfa drawer frames for socks and smalls, the medium (18.5cm deep) for folded shirts and tops and our deep unit (28.5cm) for jumpers, linen, towels etc. 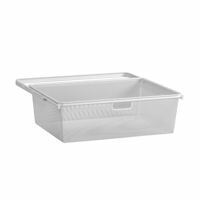 If you prefer a more solid wooden finish choose our elfa decor solid wood gliding drawer frames in a choice of birch, walnut or white and add a wire or mesh basket in white or platinum.